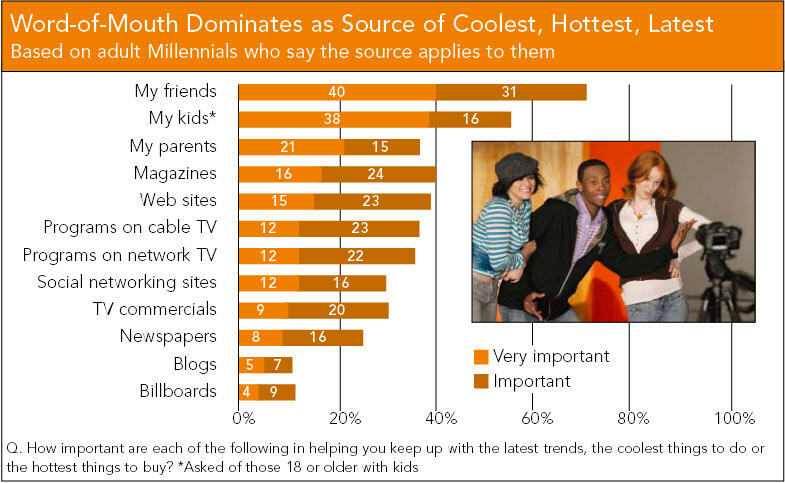 A Frank Magid Associates Millennial study conducted on behalf of ABC Family shows unequivocal validation in favor of word-of-mouth above all forms of paid media when it comes to finding out about "cool, hot and latest" products/services etc. TV commercials weigh in at just 29%. 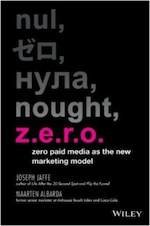 Social networking sites comes in at 28% (in line with TV advertising). I'm wondering how this differs from the "my friends" category. From a methodology standpoint, is the distinction here between "fun wall" and "skyscraper"
Blogs prop up the list at pretty much the same level as billboards. Personally, I think that's pretty remarkable, given both category's tenures. I wonder what would happen if marketers invested their dollars relative to this chart.